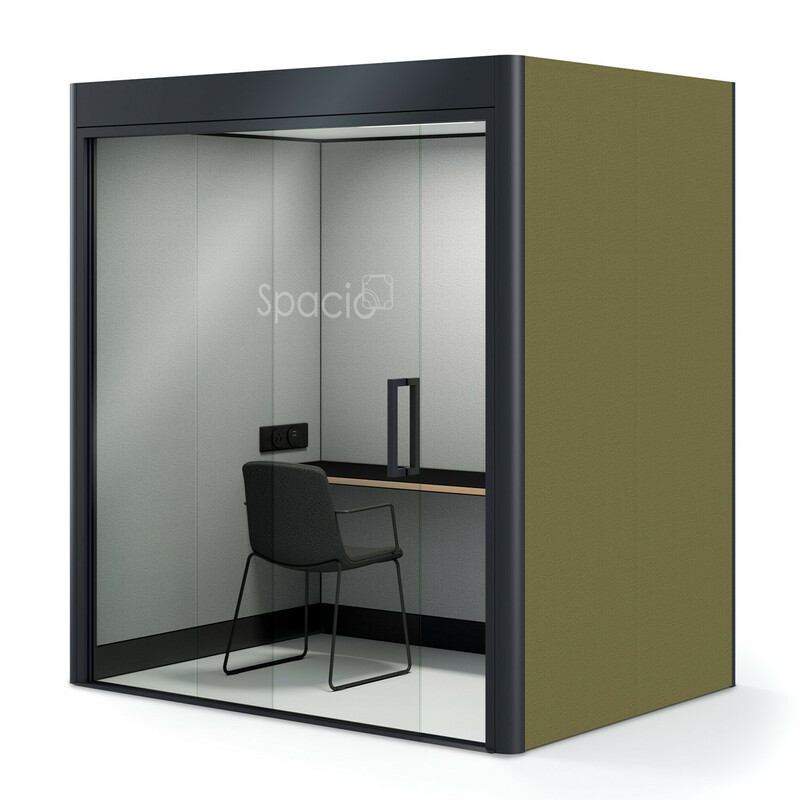 Spacio® Mini Work Pod is a single person privacy booth for escaping the office noise and getting down to work. The worksurface has a nanolaminate top with plywood edge finish and measures 508mm in depth. 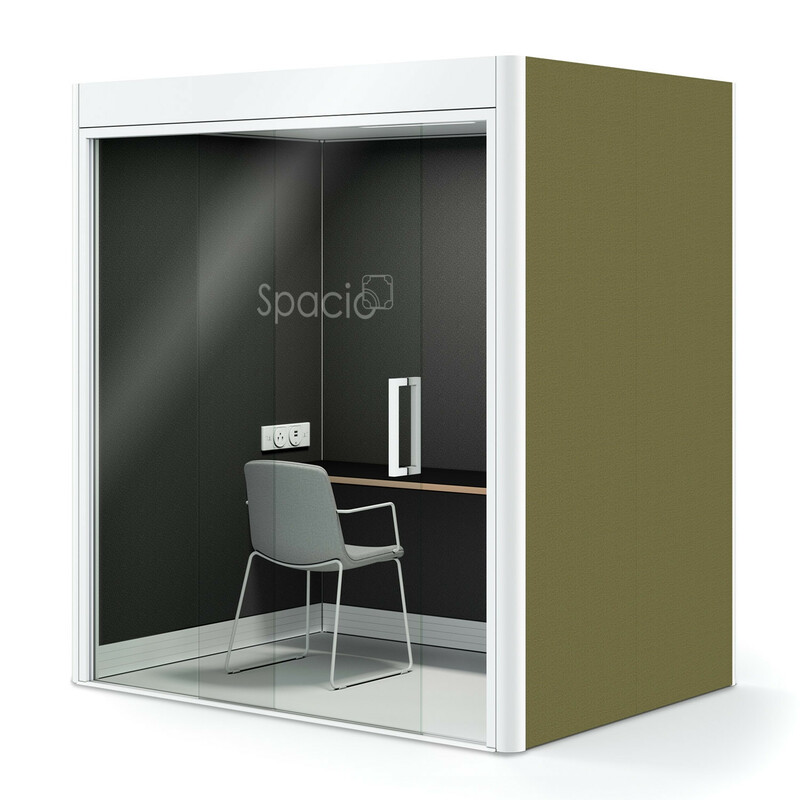 The Spacio Mini Work Pod comes fitted as standard with a PAR infrared sensor to automatically sense when the pod is in use, switching on the lighting and ventilation. This will then also automatically switch off after a while if there is no activity in the pod. 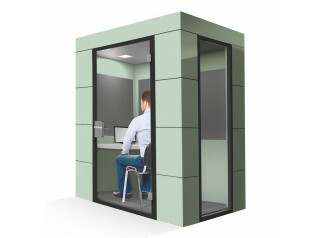 It features 3 acoustically lined screened walls and a front facing glazed wall with sliding door. At 70mm, the screensare not only very rigid, they can also carry a lot of weight externally and a lot of acoustic foam internally. The permutations are endless with this screen and the addition of an acoustic ceiling achieves a high level of speech privacy – 95%. The design of the walls and the roof system is such that sound reduction and sound absorption is optimised for superior acoustics. 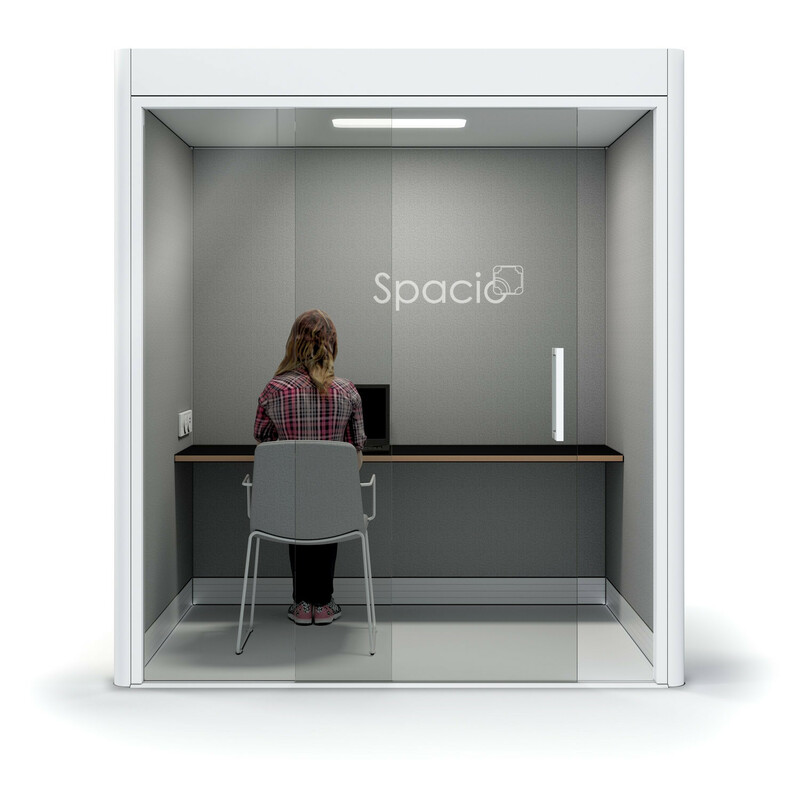 The Spacio® Office Mini Work Pod is demountable and customisable, unlike partitioning, there are no dilapidation costs to consider. 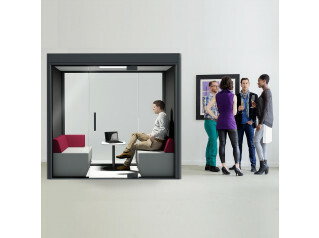 These office mini work pods can furthermore be linked to one another by sharing panels resulting in a saving of both space and cost. 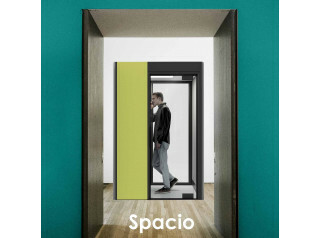 External Frame Finishes: Spacio® offer two frame finshes namely Galaxy Dark and Comet Ice. 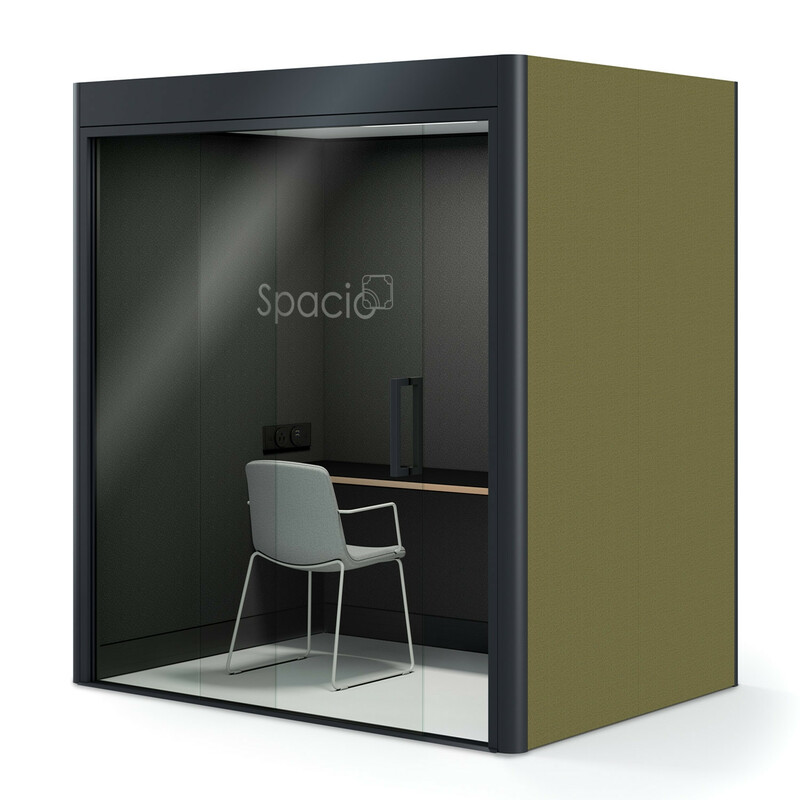 You are requesting a price for the "Spacio Mini Work Pod"
To create a new project and add "Spacio Mini Work Pod" to it please click the button below. 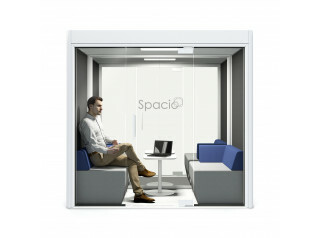 To add "Spacio Mini Work Pod" to an existing project please select below.